As long-time readers may recall from past years, I usually design some sort of small tree ornament to print for DD to add to the Christmas cards she hands out. I’ve done green ones and a turquoise and a green version with words before. This year I used the red and white cross stitch style pattern to make them. The single page PDF has 10 trees. 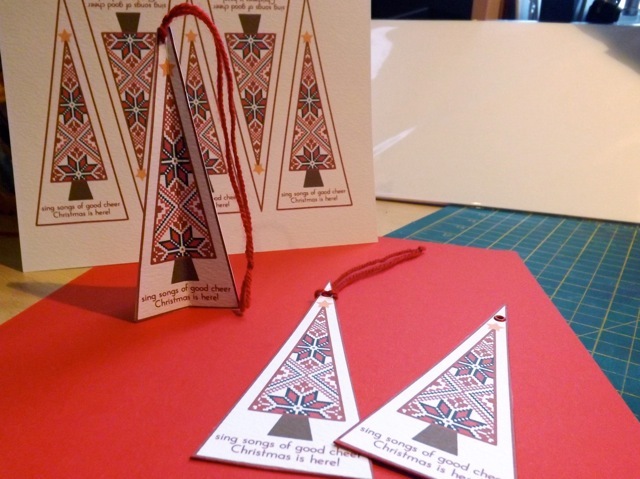 You can punch a hole, add an eyelet and something to hang it by and get 10 little ornaments. If you prefer, you can use three of them scored down the middle and stuck back to back to back for a more 3D version. When I do that one I often just snip off the very pointy tops – it makes punching the hole easier and the top is hidden by the hanger. Obviously the flat ones work better for a card topper, although the 3D ones can be pressed flat to fit in an envelope. You can see both the Christmas colours and the turquoise word version here, and the green version here . 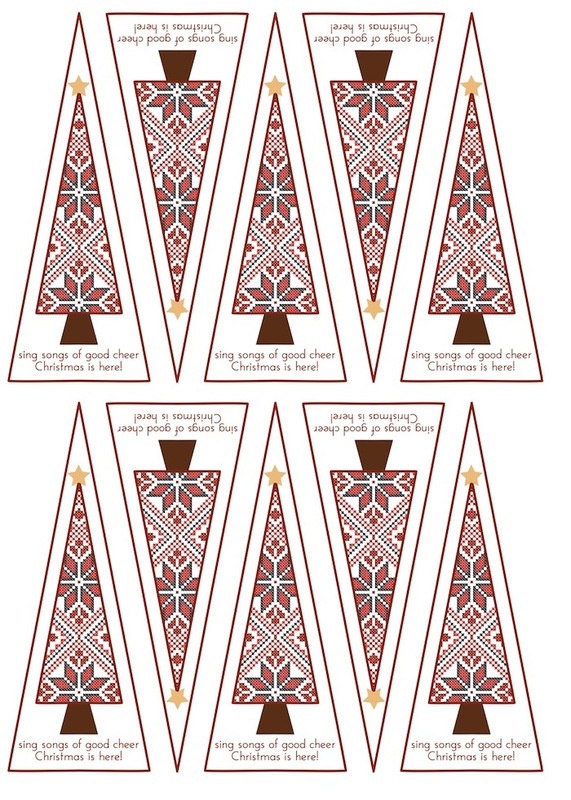 Categories: cards, Christmas, downloads, ornaments, printables | Tags: big cards, Christmas, printables, tree ornament | Permalink. your cards came out great. love it that it 2 in 1. saving for next year. have a wonderful Christmas and amazing new year.